With spring around the corner, I’ve been craving lighter foods but ones that still retain the heartiness of winter fare. 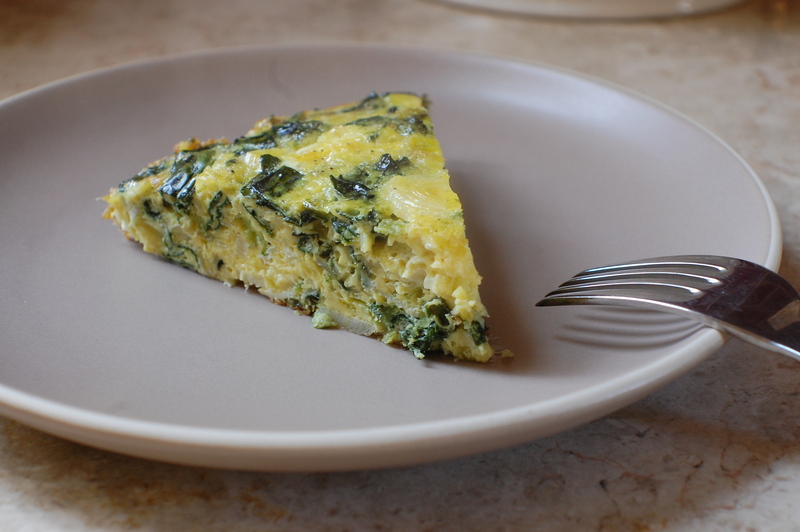 This frittata is a wonderful option for this transitional time of year. 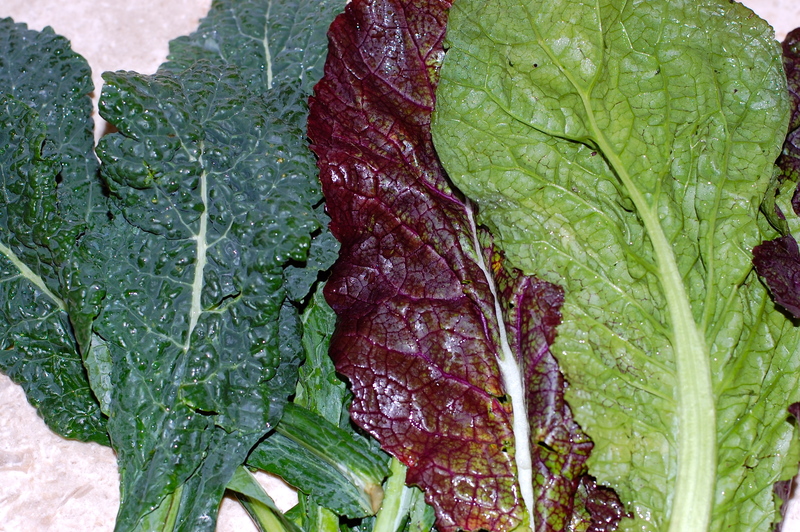 Use the recipe as a base for any combination of vegetables. Little bits and mixtures are perfect. The rule of thumb is to create a diversity of flavors and textures, adding herbs if you have any on hand, and a representative of the allium family (onion, leek, garlic, shallot, etc). I love how these humble ingredients are elevated to a far fancier status with the addition of eggs and a little milk. This frittata is super versatile – a full proof choice for any meal and a great option for a casual brunch. Make it the night before if that is easier, and warm gently before serving. In an ovenproof skillet, saute leeks in olive oil over medium heat until they are tender but not fully “melted” (that will happen when the frittata bakes). Season with salt and pepper. 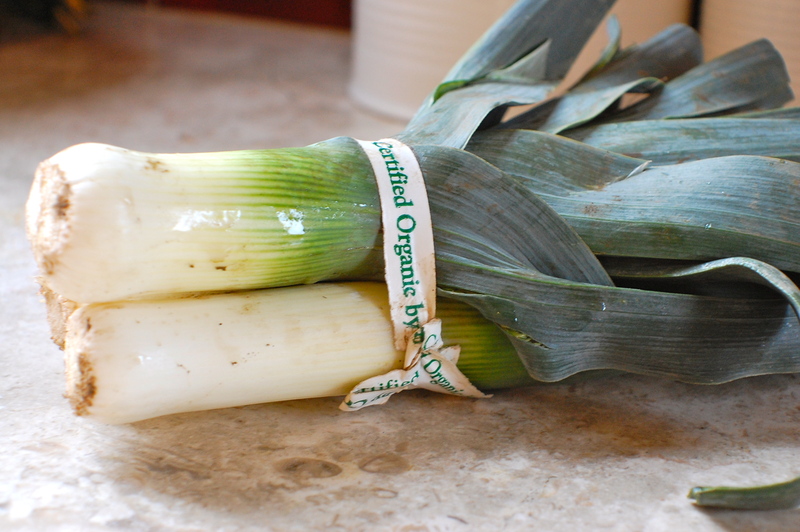 Place cooked leeks into a bowl and set aside. Saute greens in the same skillet, until they are wilted, then season with salt and pepper. Transfer to the same bowl as the leeks. 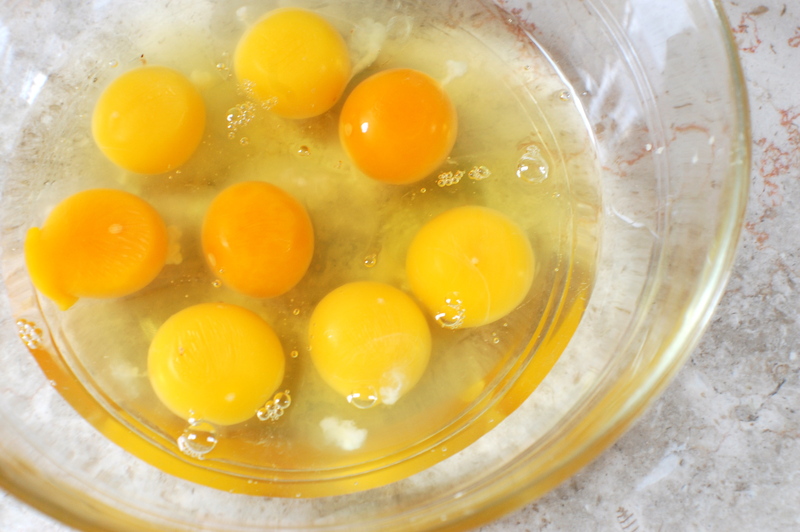 In a medium bowl, beat the eggs with the milk then season with salt and pepper. Heat the same skillet with about a tablespoon of olive oil, taking care to ensure that the sides are covered with oil in addition to the bottom. Pour in the egg mixture, then stir in the cooked vegetables and chopped herbs. Cook the frittata over medium heat on the stove until the edges are set, about two minutes. Transfer to the oven and bake for 25 minutes or until the frittata is set in the center and nicely browned on top. Run a knife along the edges, loosening the frittata, and gently remove (this may involve turning it upside down onto a cutting board, much like a cake). Serve hot or at room temperature. A green salad and fruit are nice compliments.